I really did want them to face the same way. The bodice is self-lined see, so there was a decision to be made about which flamingoes should be on top, the ones wading in water or the ones loafing about in lush grass. The water on the left won out. The bodice is from the ‘Liza’ wrap dress. 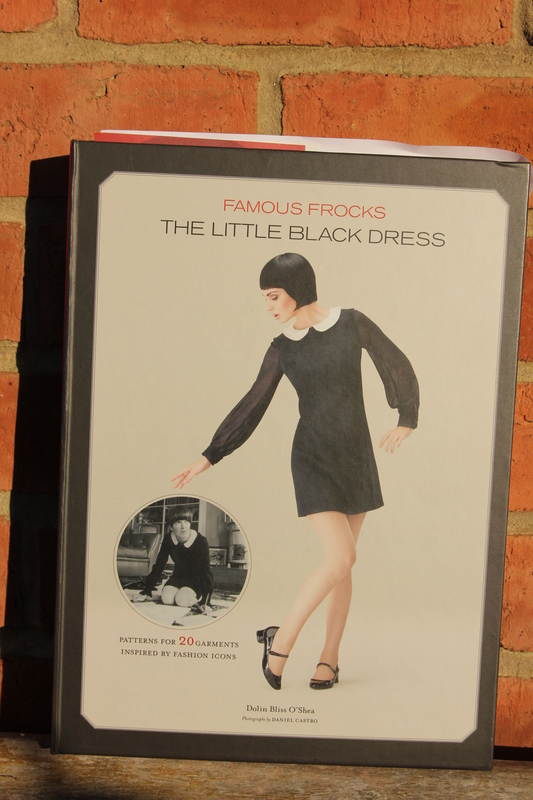 The ‘Liza’ wrap dress is a pattern for knits/jersey/stretch that can be found in the book Famous Frocks: The Little Black Dress: Patterns for 20 Garments Inspired by Fashion Icons. Between you and I, you know how wrap fronts have a tendency to display ones birds when one is least expecting to display ones birds? Well, I took precautionary measures. I used some fusible knit interfacing on the long bias edges of the two front bodice sections and I secured clear elastic to the waist seam in the hopes of stabilising the layers of fabric. And there are layers. As I decided to self-line instead of edge with bias as suggested by the book there are five layers of fabric at that front waist seam. Did these measures work? Well, the above pics were the only two where my birds were tamed. In the interests of keeping my personal flamingoes protected I suspect that mostly this dress will be worn with an underthing and maybe even an overthing. The other ‘thing’ that is a necessity given the current ambient temperature here is a cup of warm cocoa. In my favourite mug. Happy Jungle January One and All. * or indeed flamingos. Po-taa-toe/po-tart-to. Just like Tigger- you are a wonderful thing! I love the sophistication of skirt and lace with birdy bodice. Nicely done! Why, thankyouverymuch! Boing, boing, boing. Tiggers and Flamingoes, lying about in the grass. clearly, the End Times have come. what happy insanity! i love how you paired this with that skirt! You are rocking those flamingoes. They go well with the orange cardi! Thanks! I love my orange cardi, orange may well become my new black! 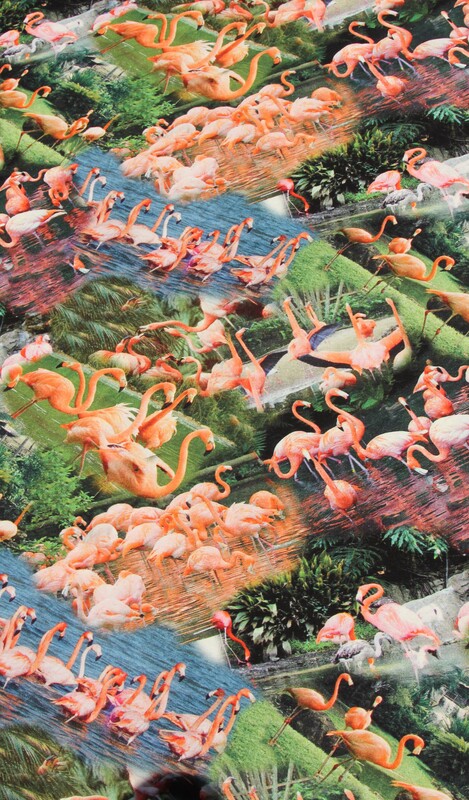 Love those flamingos, really nice wrap top.